This is Election Day. 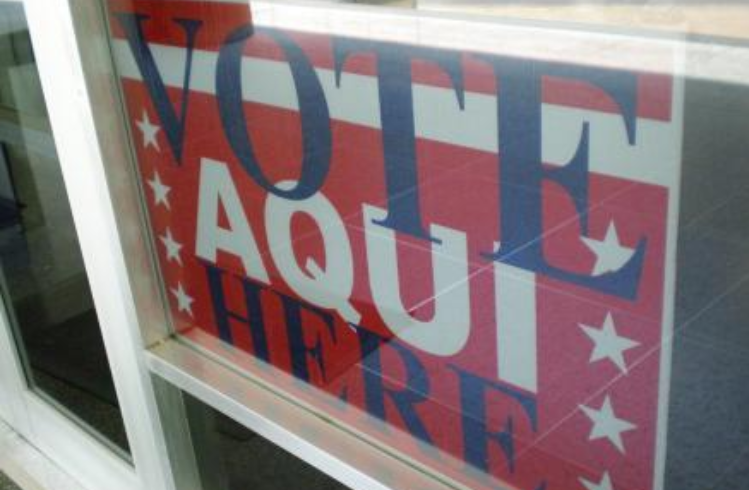 Hopkins County voters may cast ballots at any of the Vote Centers in the county. Vote Centers open November 6th include: In the city of Sulphur Springs: the Lutheran Church, 1000 Texas Street; Morning Chapel Missionary Baptist Church, 208 Fuller Street; County Courthouse, 118 Church St; Grace Family Church, 1901 Loop 301 East; Civic Center, 1200 Houston St; League Street Church of Christ, 1100 South League. Throughout the county: Saltillo ISD, 150 CR 3534, Saltillo; Cumby Municipal Building, 100 E. Main Street, Cumby, TX; Sulphur Bluff ISD, 1027 CR 3550, Sulphur Bluff; Como-Pickton school, 13017 TX Highway 11E, Como; Miller Grove ISD, 7819 FM 275 S, Cumby; and North Hopkins ISD, 1994 FM 71 W, Sulphur Springs. Hours for voting November 6th are 7 a.m. until 7 p.m.
Election returns will begin on KSST, ksstradio.com, and Suddenlink Cable Channel 18 at 7 p.m. Local returns will be presented as they come in to the County Clerk’s office and state-wide returns at :15 and :45 past the hour.